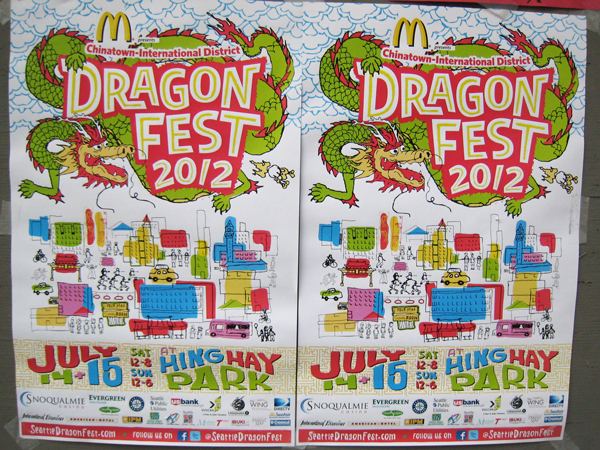 In 2012, I designed and illustrated the poster for the Seattle International District's Dragon Fest, the Pacific Northwest’s largest annual Asian American celebration. The poster incorporates various landmarks around Seattle's International District and downtown, and elements of the festival. The event was heavily advertised, and the poster image was prominently featured in both the Seattle Chinese Times and the International Examiner, among other places.